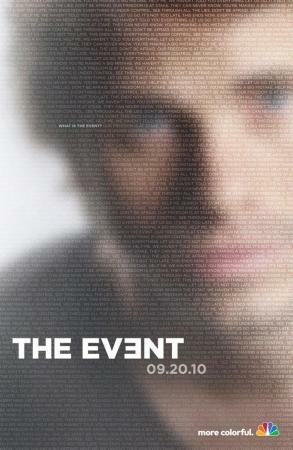 Rate "The Event (TV Series) (2010)"
TV Series (2010-2011). 1 Season. 22 Episodes. When a man named Sean Walker (Jason Ritter) goes looking for his missing girlfriend Leila (Sarah Roemer), he stumbles upon a government conspiracy that is bigger than the president (Blair Underwood) himself. "'The Event' seems prepared to make its characters as complex as its storyline, always an event worth attending"
"NBC's stab at a big, serialized 'Lost'-like premise gets off to an enticing start, though (...) the ability to provide forward momentum--and satisfying answers--tends to quickly separate the few genuine events from the canceled afterthoughts"